in the warm weather, i’m all about fresh fruits + veggies. the other day, during a quick trip to the grocery store, the fresh melons were calling to me. the cantaloupe looked especially inviting, so i got one, hoping i’d find something interesting to do with it. sure enough, when i started looking up recipes, there were tons of awesome dishes + drinks, like this cantaloupe-basil agua fresca. this drink is absolutely perfect for this hot summer weather! it’s cool, crisp + refreshing, + perfectly balanced. the sweet cantaloupe pairs wonderfully with the aromatic, slightly peppery basil. and while this is great just as it is, it would be fantastic made into a cocktail, using either vodka or rum. and, an awesome trick i learned when i made watermelon-basil margaritas? when you make a delicious drink, the last thing you want is for it to get watered down due to melting ice cubes. that recipe called for using frozen watermelon cubes instead of ice cubes, + i used the same technique here. i popped a couple of cantaloupe balls in the freezer for a few hours. + voila! a pretty, effective alternative to ice cubes that’ll cool your drink without watering it down. pretty fab, right? set a fine-mesh sieve over a large bowl or pitcher; strain purée into bowl or pitcher (you should have about 2.5 cups juice). add lemon juice, basil, + 1 cup cold water to the pitcher. let steep at room temperature for 1–2 hours. fill four glasses with ice + divide agua fresca among glasses. That’s a great tip to use the frozen fruit as ice cubes, I hate watered down drinks! This looks super refreshing and just perfect for summer, gorgeous! Cantaloupe is one of my absolute favorite fruits ever! Will definitely be making this when I get my hands on some of these melons. The colour of this is stunning, I love finding different ways to enjoy cantaloupe! This is simply gorgeous! I LOVE the vibrant color of the drink, and using frozen melon balls in lieu of ice cubes. This is a perfect summer sipper. Great picture! Looks so refreshing. I love cantaloupe in the summer. There is a filipino drink that is just shreds of cantaloupe, sugar, and ice. Always hits the spot. 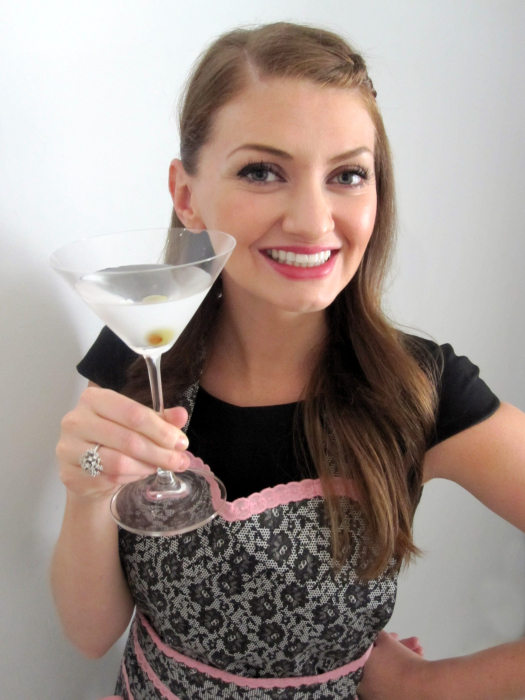 ooh, that drink sounds fantastic, joanna – i’ll have to try making something like that soon! Oh giiirrrrlllllll – I need a whole pitcher of these beauties up in my life right now! Love this! I must try this! I love herbs with fruit, I bet this is amazing! Oh my goodness … I cannot believe you linked up a recipe for watermelon margaritas today! I just shared on my blog about how I had one in Italy and how amazing it was. I need to try yours asap!! great coincidence, right?! i hope you love the margaritas if you try making them at home! What a great summer beverage! I need to pick up some cataloupes from the market and make this. Love the basil in it. Great tip of the frozen fruit for ice cubes. This looks great and so refreshing. I really like those frozen cantaloupe cubes, that is the best idea! I’m practically drooling over this cantaloupe, lemon juice and basil combination. I could use basil in everything, I love it so much, especially the flavor it adds to drinks. Yum! o.O that is a fabulously fresh drink there Amy!! It’s beautiful! i love the sound of this! my favorite way to eat cantaloupe (besides just straight up) is in a smoothie. vanilla yogurt, milk/oj, cantaloupe, 1/2 banana, & some fresh mint. amazing! Gorgeous drink Amy and I love the cantaloupe cubes! Absolutely awesome and refreshing looking drink Amy…and I’d even enjoy it without the any booze added!! I’ve been loving snacking on cold cantaloupe after long runs lately, but never thought to use it in a drink. I love this! Looks gorgeous + yummy. Never thought of combining cantaloupe with basil, but it sounds delicious. Beautiful picture. Love the melon ball ice cu…I mean, balls! I love me some canteloupe! And melon agua fresca is one of my faves–such a unique, refreshing idea for melons! This drink looks so refreshing. I’d try it straight away, it’s so hot over here, the only thing is that it’s almost midnight and all the stores are closed. 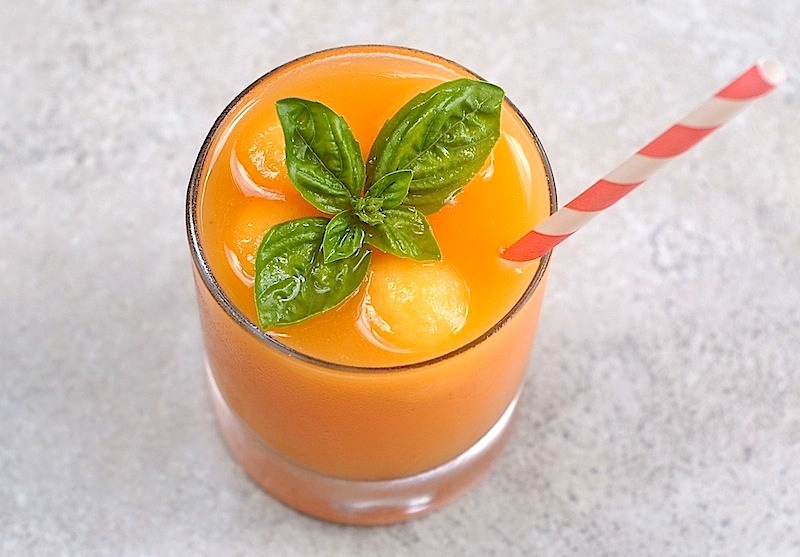 LOVE cantaloupe…this looks so pretty AND refreshing! Did I ever tell you that I had a cat once who ADORED cantaloupe? He was so funny! a cantaloupe-loving cat, eh? too funny! i offered some to Skylardog but she turned up her nose at it. she does love oranges, which i always find strange! I’m entirely not clear what agua fresca is. Is this basically juice? No matter, I LOVE cantaloupe – so do my kids. We will be having a ball with this one! Can’t wait to make this refreshing drink, especially that we are having high temps here in Toronto lately. agua fresca literally means ‘fresh water’ in spanish – essentially, it’s fresh fruit that’s blended with water + sometimes sugar. so basically, yep, juice! I think I need this drink in my life. Perfectly refreshing for the summer! Love the use of cantaloupe! Hey Amy!! That’s a fabulous idea! Who woulda thunk of frozen cubes of watermelon / cantaloupe balls! Yeah, I don’t like watered down drinks too! Great trick! And yes, this looks really refreshing for the summer! It’s so pretty! And I love the frozen fruit tip. I would have never thought of that. Girl, it looks great, as always!! no booze? Amy, what’s wrong with the world if you’re posting a beverage recipe with no booze!?! Still, I’m going to try this tonight. I’ll add it to my vodka. i’m kicking myself that i didn’t think to add in some of the lemon vodka we had in the house. next time! Wow! What an amazing color! Who wouldn’t want to drink this? It looks fantastic.